Attendance keeping is an important part of any organization. It is vital to keep track of all the resources in the facility. With advance Biometric Attendance System, it is now easier and more efficient to keep the track the employees with many tracking parameters. Starlink’s new Bio-Track is a state of the art Biometric access control system which helps in storing, tracking and organizing all the information of the employees including their fingerprints, work duration, absentees and leaves. With the utilization of multispectral sensors, Biometric Security System conveys time clock scanners that can read through oil, soil, dampness, and sweat. This is extraordinary news for development organizations, for instance, who require representatives to time in and out at work locales. This cutting-edge innovation works safely and precisely, in actuality. There are also many features and benefits to the innovative biometric security system. Using the biometric device to track the attendance gives a certain edge over other methods. One of the greatest advantages of biometrics for attendance and timekeeping in a company is that the employees will not be able to check in for each other. Biometric credentials are one of a kind for everybody and can’t be copied or produced, the biometric identification proof is the most exact choice to recognize a representative. With biometric checks set up, there will be no need to manually keep track of time. This spares managers time decreases staffing overhead and gives a precise picture of work information to the payroll department. At the point when an organization executes the utilization of a biometric time clock, it will enable it to accomplish a positive ROI. One of the lesser known benefits of biometrics for time and attendance following is the review trails they make. With these frameworks set up, employees are compelled to be responsible for the activities they make. There are a few circumstances where employees have to work extra time to meet deadlines. With automatic timekeeping, they will be easily compensated for the extra work. Starlink’s Bio-Track comes with all the above-mentioned feature and provides additional communication modes. 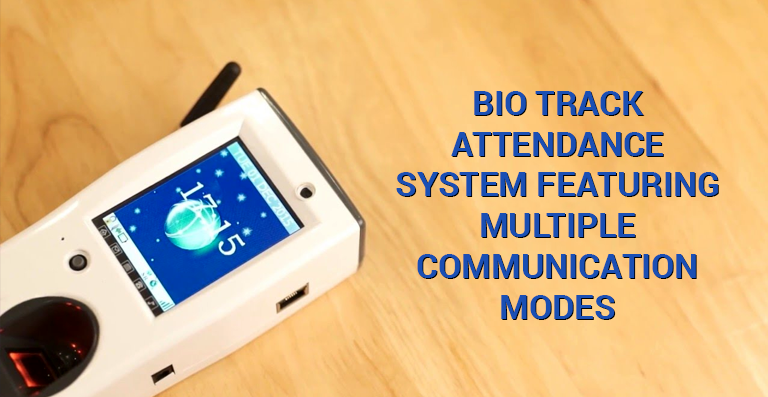 All these features make Bio-Track one step ahead of all the biometric attendance system. This device features multiple communication modes like GRPS, Wi-fi or LAN. This device also uses data push technology that sends the data itself to the server, which helps a lot in managing the records.